In this detailed Resource page, we feature an abundance of JUnit Tutorials! JUnit is linked as a JAR at compile-time; the framework resides under package junit.framework for JUnit 3.8 and earlier, and under package org.junit for JUnit 4 and later. A research survey performed in 2013 across 10,000 Java projects hosted on GitHub found that JUnit (in a tie with slf4j-api), was the most commonly included external library. Each library was used by 30.7% of projects. If you wish to build up your JUnit knowledge first, check out our JUnit Tutorial for Unit Testing – The ULTIMATE Guide. In this example we shall show you how to start with JUnit hello world. JUnit is an open-source testing framework used by Java programmers. It contains various methods to include in class to make your test cases run smoothly. In this post, we will discus the basics of setting up your JUnit Test cases. We’ll go step by step in creating test cases as we go along with creating our application. Before we dive into it though, why do we even need to create test cases? Isn’t it enough to just create the implementation since it’s what we are delivering anyway? In this blog post, I’ll share some of the best practices I have learned and discuss my experience on them. There are a lot of ways on how a developer can do JUnit test cases, but overall it really depends on the strategy of how a specific functional code can be tested to it’s limits. In this example we are going to introduce some basic annotations and asserts of JUnit4. JUnit4 is a test framework which is used by developers so that they can be ensured that their code works as expected. In this example, we shall show users the usage of JUnit Spring Controller Example. There are many ways where we can test Spring controller. There is also a specific test framework, especially for Spring. Spring-Test is especially built for the Spring testing and we will be using it for the testing of the spring controller in our example below. In this tutorial, we shall show users the usage of JUnit Temporary Folder. JUnit Temporary Folder Example is a simple example showing how we can use and why we should use this feature of the JUnit. In this example, we shall show users how they can test a REST service with the help of the JUnit. We will use the Jersey and REST assured for this example. In this tutorial we shall show users how to write unit test cases in Java with JUnit. This tutorials will show the JUnit test examples. In this tutorial, we shall show users the usage of JUnit Example Web Application. We will see how we can test our web applications and what are the technologies that we need to work with. In this example, we shall show users how to use JUnit Testcase. JUnit Testcase example will follow you to the scenarios of how we can use and test our methods with the help of the JUnit Testcase. In this example we shall show users, how they can group and run their JUnit test cases. JUnit group tests example, will try to resolve issue of running multiple group tests all together. This is not a big deal in JUnit. In this post we shall show users how to test the multi threaded java application with the help of JUnit. JUnit MultiThread example clears users mind to understand the basic usage of testing the multi threading application. In this post we shall show users the usage of JUnit keyboard input working. This example is very useful in case users want to enter data from keyboard for testing of their methods. Do not worry, we will the same in the post. In our example, we will be tackling one of the few issues that a developer may encounter during this unwanted crisis. It shows a typical junit scenario configured to comply with the JUnit4 standards. For all test cases, it is important that coverage always analyses the whole code. This is a definitive and statistical proof that all testable code is indeed tested. In this example, I’ll be showcasing how a developer can turn on and off their code coverage on their unit test cases. JUnit has an awesome feature of organizing group of test cases called Categorizing. It can help developers differentiate test cases from one another. In this post, I’ll showcase how easy it is to categorize unit tests by @Category. In this example, I’ll be showing a simple approach on how you’ll create a Test Suite that will call 3 test cases. In all the test cases of an application, there is always a way to create a report of it one way or the other. JUnit is not an exception to this and there’s a ton of ways to create reports from it. 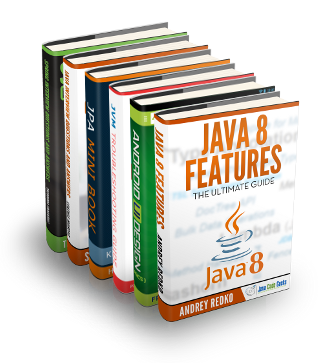 It can even be incorporated to the maven site and have it part of the overall java tech documentations of a Java Application. In this example we are going to see how to create a parameterized test in JUnit testing framework. In this example we are going to create test cases so as to understand the use of assertions and annotations in JUnit testing framework. Also, we will see how to run these test cases from the command line by using the org.junit.runner. JUnitCore. In this example we shall show users how we can generate reports using the Maven and JUnit. JUnit Report Generation example demonstrates the basic usage of the reporting functionality of JUnit tests. In this tutorial we shall show users the usage of doNothing method. This method is basically resides inside the Mockito framework and is not a part of the JUnit. In this example we shall show you how you can make a use of the JUnit HTTUnit to test web applications. In this example, we will build a small web application and test it using HTTPUnit. This example will show you how you can achieve a browser specific behaviour with HTTPUnit library like sending requests to the server and receiving response from the server. In this tutorial, we shall show users the way to test the HttpServletRequest using the JUnit. JUnit HttpServletRequest Example will help you to understand, how we can test the servlet part of the web application. In this tutorial, we shall show users the usage of JUnit and explains the reason behind the No Runnable Methods error. We live in a fast age of technology where the everyday new breakthrough is going on. We have to be updated with the latest technologies around us and how they affect our lives. In this tutorial, we shall show users JUnit BaseMatcher Example. It is very common to test the matches in JUnit. It provides many inbuilt matchers for our testing. In this tutorial we shall show users the JUnit BlockJUnit4ClassRunner Example. We will analyze and see when and why should we use the JUnit Blockjunit4classrunner. Also we will learn about the different runners that we sued in the JUnit. But in this tutorial we will have our main focus on JUnit Blockjunit4classrunner class. In JUnit RunListener Example, we shall show users how they can add RunListener to the test cases. There are cases when we want to respond to the events during a test case run. Here we can extend the RunListener class and override the methods according to our implementation. In this example, we shall show you to test void methods. In JUnit Test Void Method example we will learn how we can test the void methods using the JUnit. In our previous tutorials, we have learned a lot about the JUnit and its various techniques about testing. In JUnit Test Constructor Example, we shall show you the process of testing the constructor of a class. It is as simple as we are testing other methods. Since the constructor is called before any other methods of the class we need to see the relevance of testing it. In this article, we shall show you the working of JUnit timeout. JUnit provides a very good way of testing your methods against the timeout. In JUnit Test Timeout example, we will show how we can test out methods for timeouts. In this example we shall show users the usage of property based testing. JUnit quickcheck example will demonstrates the way to test the methods with the help of property based testing. There are cases when you want to test your methods with some constraints and with random parameter values. When we create JUnit test cases, we would normally setup our own configuration and data objects that can be used on our test cases. We needed them to be readily available when we create each of the method test cases and mock what was actually being used by the system at runtime. There is a method called assertEquals in the JUnit library that can be used to check if two objects is equally defined or not. It can be used to check if a specific instance of an object is expected on a method called by the test, or if na object passed through a method was “polymorphed” correctly. The assertFalse is basically a function that can be used to check if a specific logic or process will return a false statement. This can be in any conditional or structural logic that will return a boolean true or false. See the code example below. In this post, I’ll be discussing the usage of JUnit assertTrue and how can a developer use this to evaluate the test cases of their source using the assertTrue method from the Assert class object. This example will help us understand the JUnit Assertion and will explain their basic use and basic meaning. The JUnit testing is done through assertions. The tests include assertions which are conditions that should be always correct. If an assertion fails, then it is assumed that fails the execution of the whole test. The assertions give us the possibility of full automation of the implementation of controls. The assertThat is one of the JUnit methods from the Assert object that can be used to check if a specific value match to an expected one. It primarily accepts 2 parameters. First one if the actual value and the second is a matcher object. It will then try to compare this two and returns a boolean result if its a match or not. In this example, we use the traditional way catching an exception. We use the try-catch clause to catch and throw an assertion condition that returns the test case result. This example will help us understand the JUnit Annotations and will explain their basic use and basic meaning. JUnit 4 has been updated, and on the latest version supports annotations for the testing methods. In this example we are going to see how to use @Test annotation along with its optional parameter expected in JUnit testing framework. Also, we will see how to run our test case from the command line by using the org.junit.runner.JUnitCore. In this example we are going to see how to use @Test annotation along with its optional parameter timeout in JUnit testing framework. Also, we will see how to run our test case from the command line by using the org.junit.runner.JUnitCore. In this example we are going to see how to use @Ignore annotation in JUnit testing framework. Also, we will see how to run the created test cases from the command line by using the org.junit.runner.JUnitCore. In this example we are going to explain how to use a test suite in JUnit testing framework. Test suite is a collection of some test cases from different classes that can be run all together using @RunWith and @Suite annotations. Also, we will see how to run these test cases from the command line by using the org.junit.runner.JUnitCore. In this example we are going to explain the difference between the @Before and @BeforeClass annotations of JUnit testing framework, using Eclipse IDE. In this example we are going to explain how to run simultaneously more than one test cases using JUnit testing framework and Eclipse IDE. This collection of different test cases that will be executed all together is otherwise called JUnit test suite and for this purpose we use the @RunWith and @Suite annotations. One of the rarely used features in JUnit is the usage of @FixMethodOrder annotation. This is primarily used to indicate an order of test method calls in a specific JUnit Test case class. This is actually not a recommended practice cause we want method calls to be independent and arbitrary in nature. One of the first steps that developers take in order to create Unit Test case is to ensure that their environment is ready. This means that all required libraries are setup properly and that the JUnit Test cases are correctly annotated. In this example, I’ll be giving a simple example of how we can write and categorise test cases by using the @Category annotation. In this example, I’ll be showcasing how to do a Unit Tests for Spring beans using only annotations. Spring has it’s own testing framework for all objects created under it’s IOC container (that we all know is just the JVM instance). With this example, we are going to demonstrate users when, how and why JUnit FixMethodOrder annotation is used. In previous example JUnit Hello World, users have seen how they can start using JUnit. Users are advised to see the setup of project in JUnit Hello World example, if they want to continue with Maven. There are instances that our test cases aren’t ready yet and it would almost be certain that when we run our builds with these, there is a high probability that our test executions will fail. This can be avoided using the @Ignore annotation. In this example, we will explore the functionality of Selenium Grid and we will understand it’s significance. We will create a Page Object and then we will access that page object from test cases using JUnit. The example will cover the gmail login where we will be invoking the url in node and hub using test cases in JUnit. In this post I will introduce the basics of writing and running JUnit unit tests in NetBeans IDE. Testing an application is an integral part of the development cycle, and writing and maintaining unit tests can help ensure that the individual methods in your source code work correctly. Here is the new JUnit example, but with a difference. In this example we shall show users how they can use JUnit with HSQLDB for testing. In JUnit HSQLDB example, we will try to explain the usage of HSQLDB. In this example we shall show users the usage of Cucumber with JUnit. JUnit Cucumber example will follow a brief introduction about the relation they share and how we can use both with each other. This is a very basic example and users are recommended to test their own scenarios after reading this example. In this example we shall show users the usage of Hamcrest. Through JUnit Hamcrest Example we will show users what is hamcrest, where it is used, why it is used, when it is used and how to use it on your applications. If you are a regular user of my JUnit series then you are already familiar with the JUnit. In this tutorial, we shall show users the usage of the DbUnit framework. JUnit DbUnit example will lead you to the details of testing with the DbUnit. There are other tutorials on JUnit if you want to learn more about the JUnit.